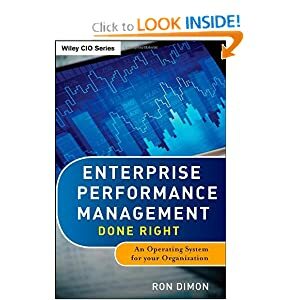 EPM enables standard management processes that every company must do well: Budgeting, planning and forecasting Financial consolidation and statutory reporting Management reporting and business intelligence Profitability analysis, and Other financial and operational modeling, planning, analysis, and reporting EPM leverages the investment you have already made in Enterprise Resource Management, Customer Relationship Management, Supply Chain Management, Sales Force Automation, and other transactional systems. EPM can help close the loop between what you want to happen in the business (and how), and what actually happened (and why): Records and documents business model assumptions, constraints, and drivers Connects those models into your annual operating plans, budgets, and forecasts Monitors and alerts exceptional variances from actual to plan Helps you understand the root causes of variance and plug that corporate knowledge Ties it all together with a common business language and common master data to improve visibility, focus, and alignment Giving more stakeholder alignment . More time is spent on assembling the numbers than on analyzing them— all this manual effort makes us inefficient and not very scalable. People show up to meetings with “their” numbers, and we don’t know how they got those numbers—there is not a lot of confidence. Some people aren’t getting the reports or analyses we’re sending out— it either gets lost in their email or the right people aren’t on the distribution list (or they’re ignoring it). There is little alignment across functions (Sales, Marketing, Development, HR). People aren’t following the prescribed processes, especially for submitting their plans and forecasts—they make different assumptions and interpret what we want differently. Sometimes the data is just plain wrong— it doesn’t include the latest numbers or it’s an old version, or it’s missing parts.